We are looking for a highly motivated, adaptable and conscientious full time Registered Pharmacy Technician to join our existing team. Experience of hospital pharmacy is desirable, however this may be an ideal first job opportunity for current student technicians to consider, as full training in all areas will be given to successful candidates. 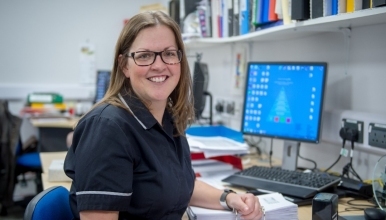 We are a department that is committed to the extended role of technicians, and you will be encouraged to develop your skills in all aspects of hospital pharmacy practice in our busy department. Your duties will be rotational between clinical services (medicines reconciliation reviews), dispensing, high-cost drug reporting, counselling and clinical trials. Medicines Management Systems are highly integrated into electronic IT systems. Pharmacy Technicians are involved in “at the bedside clinical services”, POD’s, medicines reconciliation and one-stop dispensing. The successful candidate will have relevant pharmacy experience, hold a BTEC/ NVQ Level 3 (Pharmaceutical Sciences) qualification or equivalent and have registration with the General Pharmaceutical Council (GPhC). There will be a requirement to participate in extended hours working including weekends and bank holidays on a rotational basis.